Friday night, I attended a fun party where everyone brought a new or favorite drink concoction and then we all voted on which one we liked the best. It was a great way to sample some new cocktails and to try out new recipes. Based on what I had in my refrigerator and liquor cabinet, I came up with what I called the Ginger Pomegranate Martini. 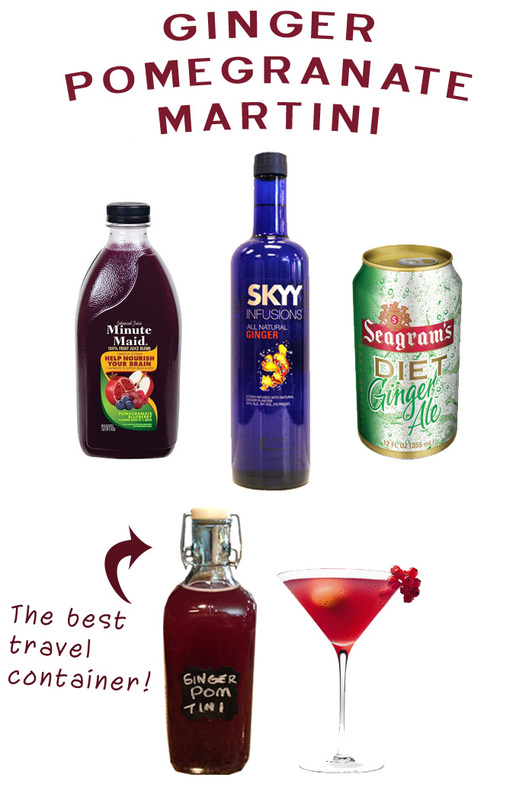 I used 2 oz of ginger Sky vodka, 8 oz of pomegranate blueberry juice and a splash of ginger ale. I thought it was very tasty. Although I didn't win a prize for the best tasting drink, my drink container with the chalkboard label was very popular. It's a great travel container to take to your summer parties. I purchased both from World Market - World Market Jug and Chalkboard Label Set. Cheers! that sounds delicious! im a fan of the moscow mule so this must be really good too! I am a big fan of the mule too. Really, anything ginger related, I like. Let me know if you try the recipe.